This Advent Candlestick is a traditional Christmas decoration. The black base is made by a ancient Japanese technique called Shou Sugi Ban 焼杉板 that preserves wood by charring it with fire and paradoxically make it fire-resistant. 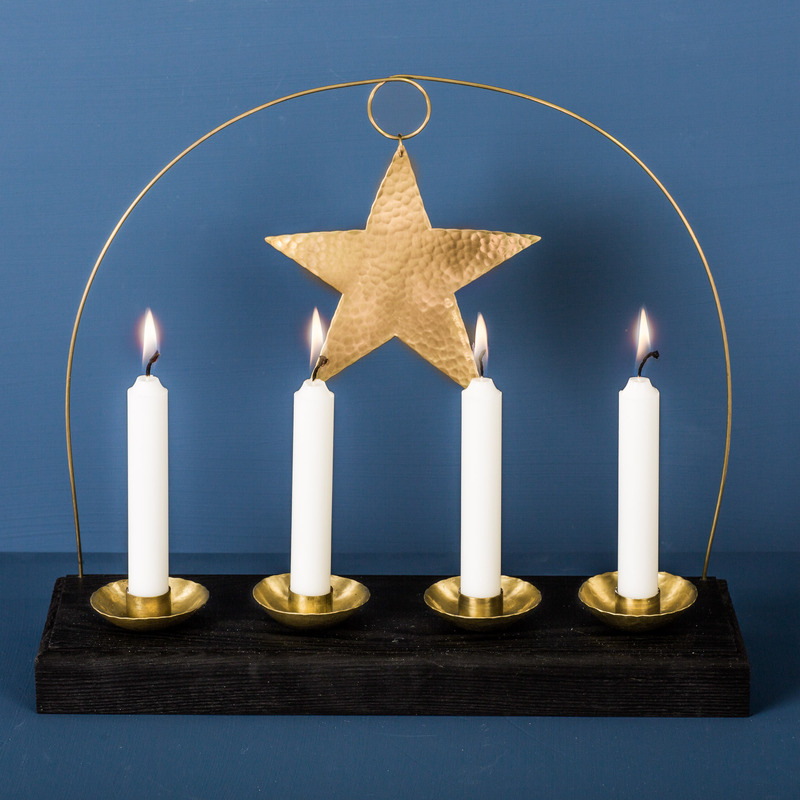 The candle holders and also the Star of Bethlehem that is suspended on a thin arc is hand made in brass. When lit the star gives off the same kind of light as that from a sconce. Soft and cozy. It measures 34 x 30 centimeter. This product you can polish with regular polisher.